Prayer is one of the simplest things in our religion. Even a child can pray. Truth be told, children probably pray better than adults. This is part of what Jesus meant in Matthew 18:10 when he said, “See that you do not look down on one of these little ones. For I tell you that their angels in heaven always see the face of my Father in heaven.” This means that the prayers of baptized children are always heard by our Father in heaven. How then should we, who are not children, pray to Him? 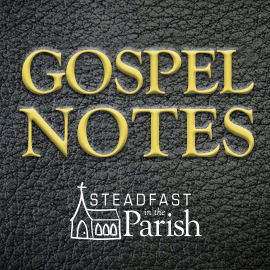 Our Gospel lesson answers this question, but its meaning is not obvious. Jesus tells his disciples in verse 23, “Whatever you ask the Father in my name, he will give it to you.” This was a new thing in the history of religion. Note verse 24, where Jesus said, “Until now you have asked nothing in my name.” This means no one prayed in Jesus’ name before this time. The disciples did not pray in Jesus’ name before this time. John the Baptist did not teach his disciples to pray in Jesus’ name. None of the prophets or Moses taught the Jews to pray in Jesus’ name. None of the patriarchs, such as Abraham, Noah, or Enoch, prayed in Jesus’ name. Certainly no devotee of any other religion ever prayed in Jesus’ name. But all Christians have the privilege of praying in Jesus’ name and knowing that such prayers will be heard by their Father in heaven. How did believers before the time of Christ ensure that their prayers would be heard by God? Most of the time they accompanied their prayers with an animal sacrifice. 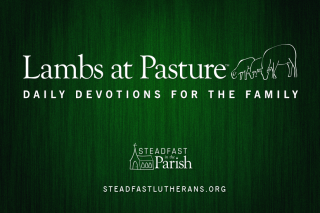 From the time of Adam and Eve until Moses, they followed the example of Abel, whose sacrifice of firstborn lambs from his sheep pleased God (Genesis 4:4). From the time of Moses to Jesus, the Israelites followed the ceremonial regulations for five types of prayers: burnt offerings, grain offerings, fellowship offerings, sin offerings, and guilt offerings (Leviticus 1-7). In addition to these prayers, there were also the mandatory prayers of fasts and festivals, which were also accompanied by various types of offerings and sacrifices. The efficacy of animal sacrifices and other offerings came to an end when Jesus, the Lamb of God, was sacrificed for the sins of the world. This is what the tearing of the temple curtain meant when Jesus died (Luke 23:45). It is also the great theme of the book of Hebrews, namely, that in Christ baptized believers have a high priest in heaven who is superior to angels, to Moses, and to the Aaronic priesthood. We don’t need to go to the temple to pray. We don’t need a human priest to pray on our behalf. All baptized believers are part of the royal priesthood (I Peter 2:9). All that we need to do is to pray “in Jesus name,” and our prayers will most certainly be heard. When the early Christians worshiped together, they prayed in Jesus’ name without any animal or other type of sacrifice. This led the Romans and other pagans to accuse the Christians of blasphemy. Blasphemy means making a mockery of God and his religion. The Romans thought there could be no prayer without sacrifice of some sort. They thought the Christian form of prayer and worship to be a mere mouthing of powerless words, in order to mock the gods and goddesses of Rome and her provinces. Even after Christianity became a legal religion, the idea that prayer must be accompanied by a sacrifice endured and eventually affected the church’s theology. In the Eastern Orthodox church, the idea developed that the prayers of the church were themselves a sacrifice which made the person praying acceptable to God. This is why in that tradition worship is carefully prescribed in form and language, and its services are so long. In the Western church, the idea developed that the prayers of the church were acceptable because of the sacrifice of the Mass, in which Christ’s body and blood were re-presented to God on the high altar. This is still the official doctrine of the Roman Catholic church. Where did Jesus say that your prayers are acceptable to the Father because of their length or their proper form? Didn’t Jesus condemn prayers with “many words” (Matthew 6:7)? Didn’t Saint Paul say that the Spirit intercedes for us when we don’t know how to pray (Romans 8:26)? This is said against the teaching of the Eastern Orthodox churches. Where did Jesus say that your prayers are acceptable to the Father because of the Mass, i.e., the re-presentation of his body and blood on an altar of sacrifice? Didn’t Jesus say that the purpose of His Supper was to give you his life-giving body and blood to forgive your sins? This is said against the teaching of the Roman Catholic church. Christ teaches that prayer should be made in his name; for we must confess that we are poor sinners, unworthy to come before God and to speak to him, and more unworthy still to ask something from him. . . . With these words, [Jesus] teaches us that prayer and supplication, by which we worship and honor God, must rest completely on the person of Jesus Christ alone. . . . It follows that every prayer, therefore, not made in the name of Jesus is neither prayer nor worship. For example, when a monk prays in the name of [Saint]Francis or [Saint] Dominic and says, ‘Ah, Lord, look upon the merit of the saints, look at my fasting, at my good works,’ this cannot be called praying in the name of Christ, but in the name of Francis or Dominic, or in my name; and it is a Turkish and heathenish prayer, and bears no fruit and results, only harm. (Martin Luther, Luther’s House Postils, 3 vols., ed. Eugene Klug (Grand Rapids: Baker Book House), 2:108-109). 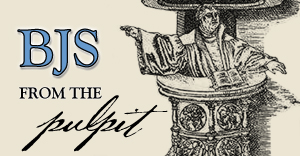 This is why the traditional Lutheran liturgy begins in Jesus’ name; it continues with confession of our sin; and then is followed by a Kyrie, in which we confess our unworthiness, and then the Gloria in Excelsis, in which we proclaim the worthiness of Jesus, and stake all the assurance of our prayers being heard upon Jesus and his merits. When Christians pray “in Jesus’ name,” this is what they should intend and mean. This then brings up the contemporary issue of inter-faith prayer. Is it okay to pray together with people who do not pray “in Jesus’ name”? If you give a non-Christian the impression that their prayers are heard by God, that is a false impression and a lie. After all, non-Christians don’t believe in Jesus, so how can they pray in his name? If you give a Christian the impression that their prayers are heard by God because of the saints, the quality of their prayers, the Mass, or their own good works, that is also a false impression and a lie. Since we generally try to avoid insulting people, and criticizing their prayers in public is a good way to do that, it is better not to pray together with such confused Christians; although you may always pray FOR anyone and their needs. That is one significant reason why our Lutheran Church-Missouri Synod forbids its pastors from praying together with clergy of other faiths or denominations in divine services and worship. You may have occasion to lead pray in the presence of relatives and friends who are confused about prayer. This may happen at meals and other gatherings. In such cases, you may have the opportunity to confess the truth about prayer, and so fulfill part of your role as a member of the “royal priesthood.” You may explain that you pray “in Jesus’ name,” because you are a sinner and unworthy to pray on your own merits. By praying “in Jesus’ name,” you invoke the merits of your high priest, Jesus, who made the perfect sacrifice on the cross, so that all men, women, and children may pray to the Father IN HIS NAME, and we know that such prayers are always heard! In our Lord and Savior’s name. Amen. Prayerfully propell revolutionary new apostolic edge.